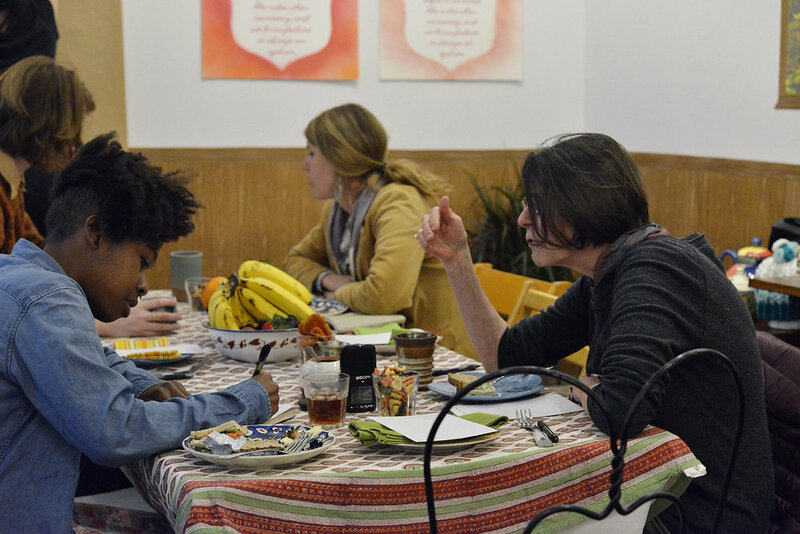 The In Between: Tea Talks is a series of intimate facilitated discussions over home cooked meals that bring together conflicting populations of artists, activists and workers to discuss topics affecting them in the Bay Area. 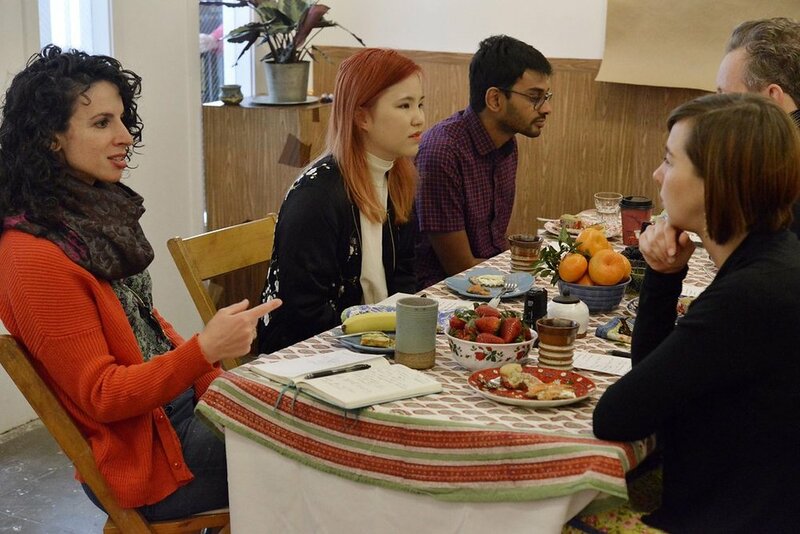 The project gathers artists, writers, tech workers, “sharing economy” laborers (Uber and Lyft drivers, AirBnB hosts) and their critics (taxi drivers, tenants rights activists) together in a hospitable environment so each may share their positions in a safe yet open and critical dialogue. Each position is respectfully held in the space. The conversations are documented in audio, and through a series of commissioned writings by participants published in a related reader. Adobe Books has always been a space for free speech, riveting conversation and a multitude of voices. It is a particularly poignant location as it sits in the heart of the Mission district and has been a subject of displacement and gentrification. Complicate the current good vs, evil/us vs. them narrative while eliciting understanding and extracting nuances from all sides. Engage in local micro politics while placing these issues in the larger current political landscape. Create a space for hospitable democracy. Share understanding about issues affecting our communities to a broader audience.